Why is Gum Disease bad for you? We need healthy gums in order to have healthy teeth and a healthy body. Our gums have the sole job of hold our teeth firmly in place, protecting them from the elements, and keeping our entire mouth nourished and healthy. Unfortunately, people often under-valued their gums! In fact, a CDC report from 2012 found that more than 47% of adults living in the United States have some form of gum disease and that number for adults over 65 is 70%! Areas that allow the bacteria to congregate and grow. Bacteria will collect and build up around and below the gum line. This buildup will eventually cause inflammation and irritation, triggering an immune response by the body. Gingivitis, the first stage of gum disease, is the least severe form. Unfortunately, if gingivitis is left unchecked, the condition can create periodontal “pockets” or areas where the bacteria can collect deeper under the gum line. Gingivitis can progress to periodontitis, where the bacteria, inflammation and the body’s efforts to fight infection can break down the connection between the gums and the teeth. What are symptoms of gum disease? Untreated gum disease can result in the loss of teeth and other more serious health issues. Gum disease can have a major impact on the body’s other systems. It has been tied to serious health issues. If untreated gum disease is left unchecked, this can make some existing conditions worse. The good news about gum disease! Brush – twice a day, every day to remove this bacteria, and to help avoid cavities. Floss – every day to remove bacteria that has accumulated between your teeth and around your gum line. 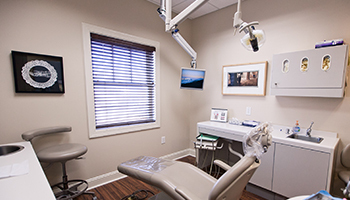 Professional Cleanings – Regular cleanings by a dentist or hygienist will help to remove any plaque, buildup, and bacteria that is impossible to reach during your daily dental routine. If you are worried you may have gum disease or are ready for a routine cleaning, contact Richview Family Dentistry. Dr. Wall and Dr. Sherrill are ready to help you get your mouth healthy and keep you smiling bright! 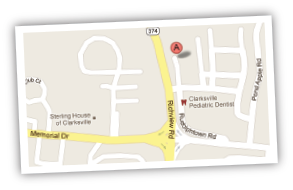 At Richview Family Dentistry we’re the best choice for all your family’s dental needs, including dental implants, teeth straightening, cosmetic, and preventative dentistry.